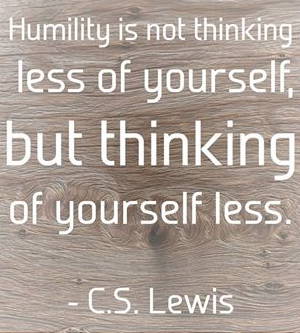 Humility is tricky. The moment you realise you have it, you've lost it. Love that Pearlie. Sometimes I think that real humility looks a lot like the Tax Collector who beat his chest and pleaded for mercy.